When YOU Smile... We Smile... REALLY!!! Dental bonding is the process of applying a composite-resin material to damaged or imperfect teeth in order to improve the look, feel and function of the tooth. For minor damage or imperfection on the teeth, there are several repair options to consider. By understanding what dental bonding is and how long it lasts, you can determine whether or not it is the right procedure for you. Dental bonding can be applied in a single dental visit and can be a reliable way to repair teeth, repairing any cosmetic imperfections. The following is everything one needs to know about dental bonding for imperfect or damaged teeth, including how long it lasts. The lifespan of composite-resin dental bonding is largely dependent on the amount of care that is given to the teeth after the procedure. On average, dental bonding lasts between five to twelve years. Of course, this is a rather large range of time. 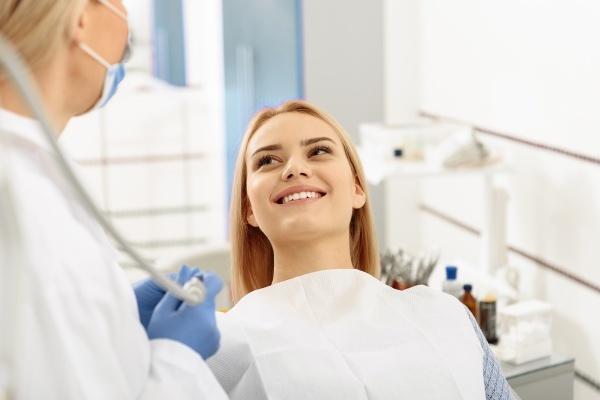 However, as long as the appropriate dental bonding aftercare is provided and teeth are properly cared for, then dental bonding will most likely last for close to a decade. If the patient grinds their teeth, eats hard foods or participates in dangerous activities that can damage teeth on a regular basis, there is a higher likelihood that the dental bonding will not last as long. Dental bonding is often compared with porcelain veneers as they essentially achieve the same purpose, especially as it pertains to fixing damaged teeth. There are advantages and drawbacks to both options. Perhaps the biggest advantage to dental bonding is that it can be applied in a single dental visit, whereas porcelain veneers require customization and several visits over the course of a couple weeks. Dental bonding also tends to be more cost-effective than veneers, although the lifespan of veneers is most often much longer than that of composite-resin bonding. The amount of time dental bonding lasts is in large part dependent on how well the teeth are cared for. Patients can extend the lifespan of their dental bonding material by practicing good oral hygiene, consuming less damaging foods and wearing a mouthguard during sports and while sleeping (if grinding teeth is an issue). With appropriate aftercare, composite-resin dental bonding can last for over a decade without needing to be repaired or replaced, whereas it may only last for five to seven years without quality aftercare. Dental bonding works to repair a large range of dental issues, including teeth that are cracked, chipped or damaged in any way. If you are suffering from a damaged tooth that has lead to cosmetic imperfections in your smile, tooth pain or sensitivity in a particular tooth that may lead to any issues in the future, talk to us and schedule a time to visit to find out whether or not dental bonding, or another form of tooth repair, is right for you. Request an appointment here: https://pier210dental.com or call Pier 210 Dental Group at (530) 982-4077 for an appointment in our Auburn office. Check out what others are saying about our dental services on Yelp: Dental Bonding. © 2019 Pier 210 Dental Group. All Rights Reserved.